I just finished a new cowl, like, five minutes ago. I had hoped to finish it in two days but I didn’t knit for the last couple of days which put a damper on my plans. 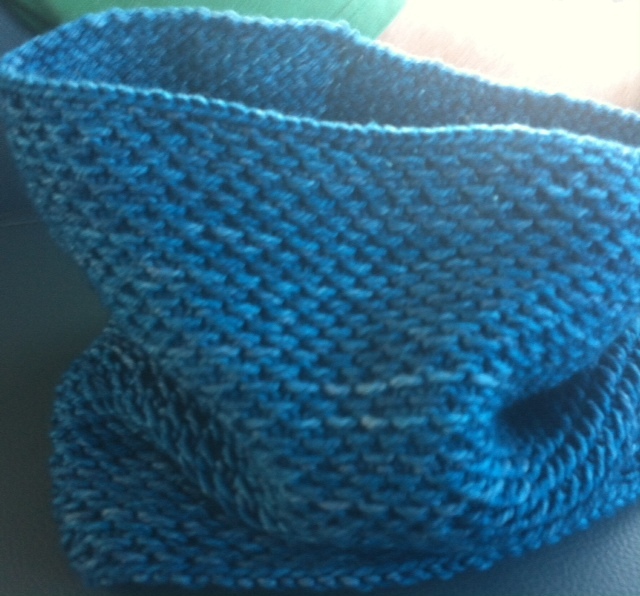 I knitted this for my mom because she really likes cowls and wanted my Cowpoke Cowl. I enjoyed this pattern, though it is a bit of a yarn hog. It is the short version of a pattern that is free from Madeline Tosh. Unfortunately, my mom just told me she prefers longer cowls. Great…back to the drawing board.